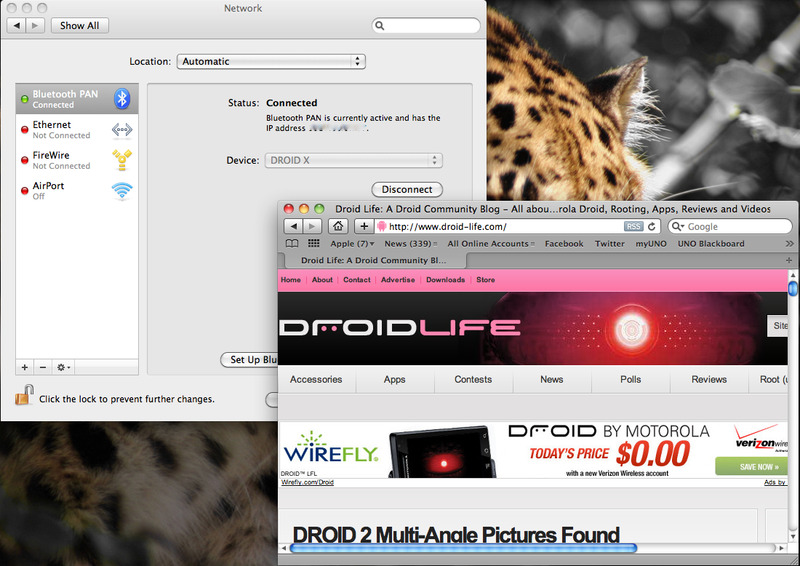 Since we don’t have root access to the Droid X just yet, we also don’t have a wireless tethering app available, right? True, but what we do have is a Bluetooth option! If your computer allows for Bluetooth connections, then you can have your mobile hotspot on the go without being directed to VZW for payment. Oh yeah, this feature is fully confirmed and working on Mac, Windows and Ubuntu systems. You can still USB tether using PDANet or Tether, but who doesn’t love to remove that pesky cable? The only thing we have to worry about now is how long until Verizon blocks this. Will it be with the OTA update we’re expecting to receive today? “Updated Bluetooth® connection for enhanced video sharing experience” is one of the fixes coming, so enjoy it while you can. Buy a DROID 2 Dummy Phone Today!